I am always exploring good and healing Ayurvedic recipes. The simplicity and balance found in such form of cooking balances the pittas and is good for the soul. 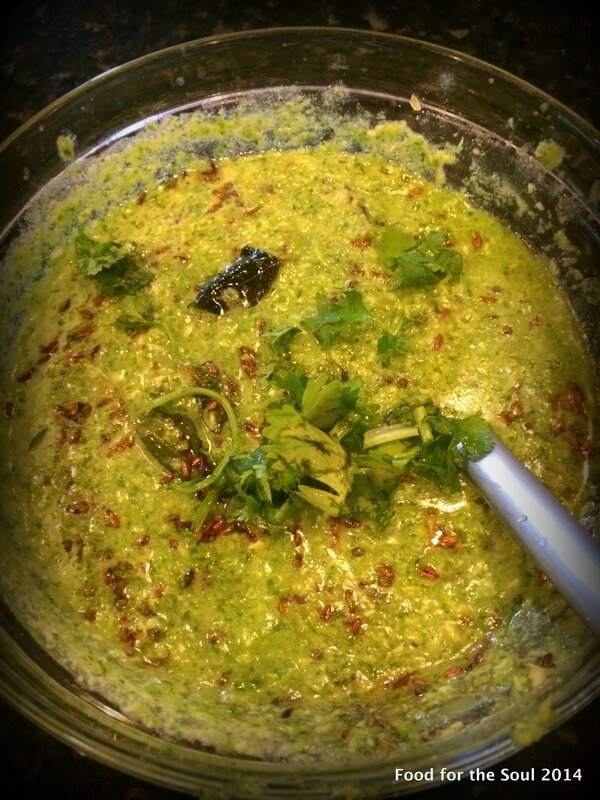 This is a variation of a Coriander chutney that I found on an Ayurvedic website and was inspired to try it out. 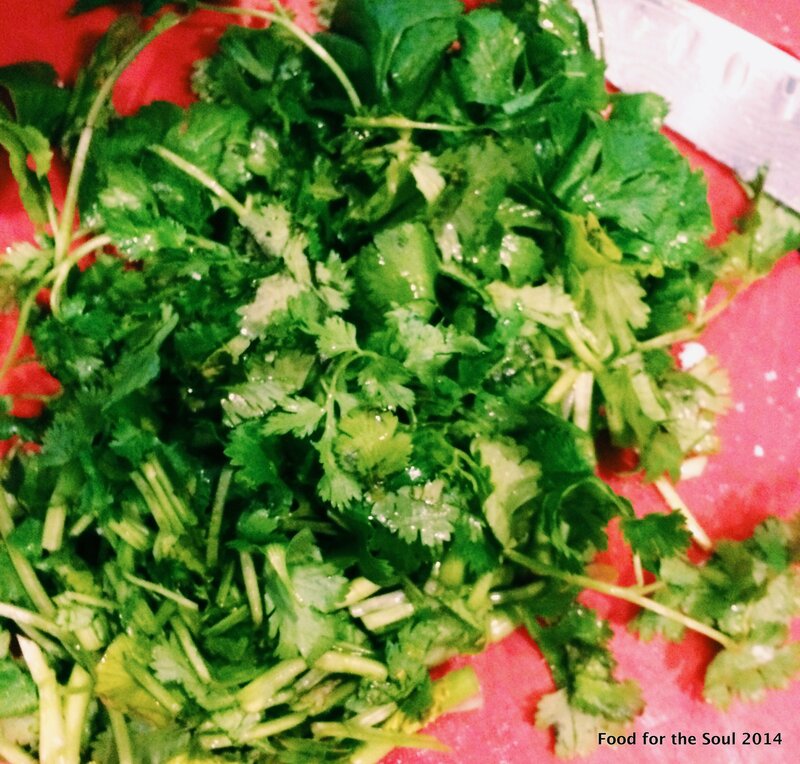 Coriander also known and Cilantro contains antioxidants and has antibacterial properties. It has also been documented to be used for traditional treatment of Type 2 diabetes. 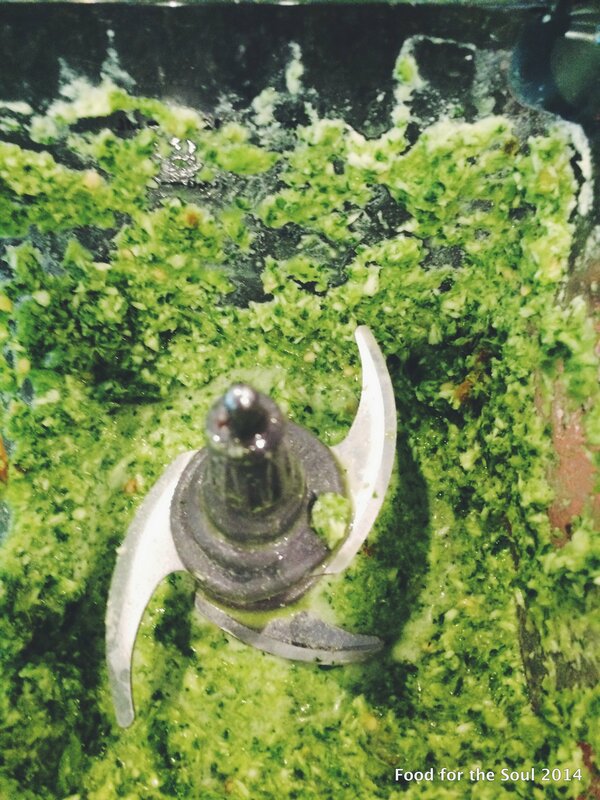 All the good stuff aside, I LOVE Coriander and find something to use it in pretty much everyday. This chutney was served with Methi Roti ( recipe coming), Green pea pulao and yoghurt. 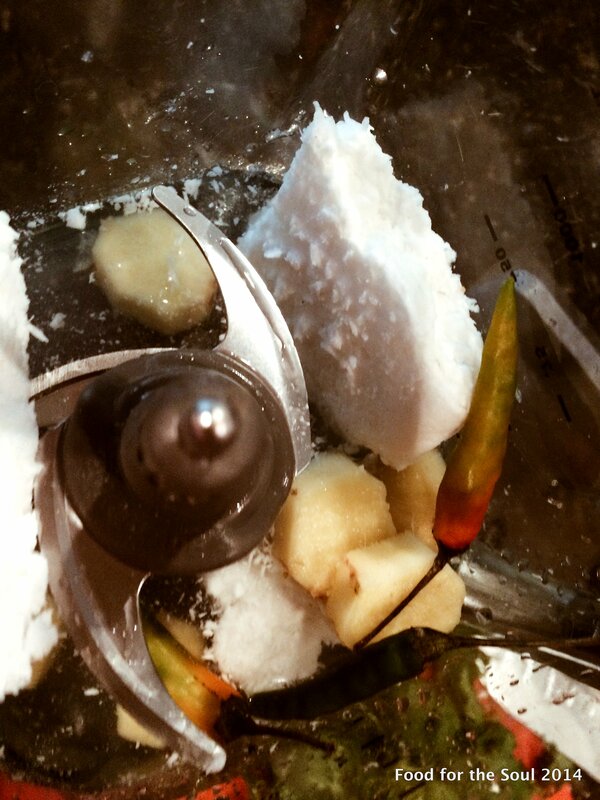 I used frozen shredded coconut that was unsweetened and had no added preservatives. Cumin and mustard seeds are readily available in supermarket. I have a plant of curry leaves but you can always buy a bunch from the local asian grocery store. Heeng or Asafoetida is used as a flavor enhanced and as a digestive aid. It has a strong pungent smell so a pinch is just enough. You can choose not to use it at all. 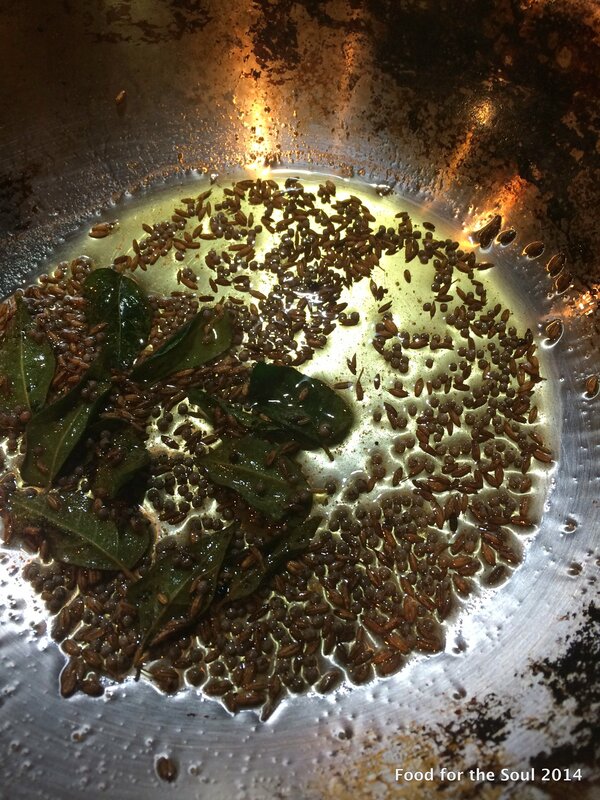 Sizzle the cumin, mustard seeds in ghee. Add Heeng and curry leaves. give it about 30 seconds and turn off the heat. Once cool add to the Coriander paste and your chutney is ready.